designed to love: can't a girl catch a break? can't a girl catch a break? I don't usually make bets. Mostly, it's because I'm not particularly lucky basically the unluckiest person, ever. And if I can help it, I'm not going to add yet another thing to the "Ways-I-Have-Humiliated-Myself-Today" list. But on Sunday night, I was feeling good - lucky, even! It was the first night in the past few weeks that I was able to get out of the house, after being under lock down with germs, so for date night (for the first time in a long time!) 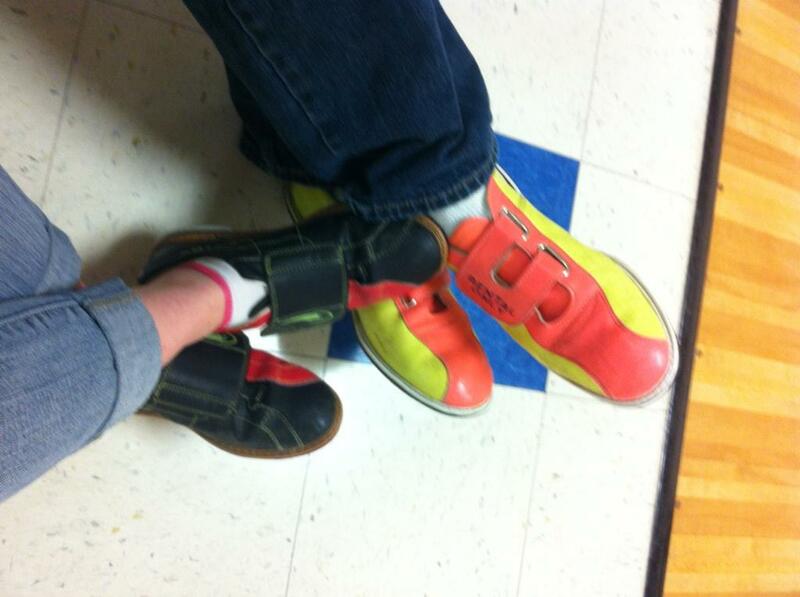 the man-friend and I put on our oh-so-fashionable shoes and hit the lanes! 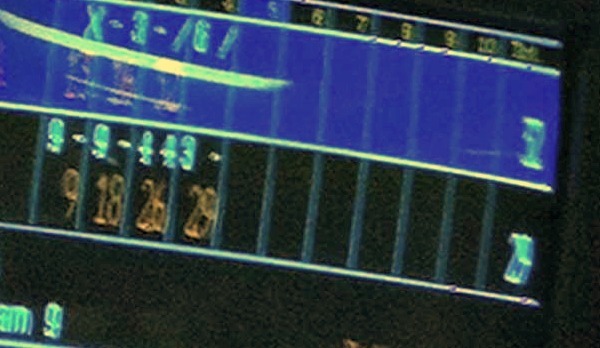 Now, I'm not very skilled in the bowling department to begin with, but this weekend I was even less skilled since I had even less coordination than usual and I hadn't been bowling in like two years. That's why it was really pathetic when I beat his score... twice.. in a row. A streak of luck? I think so! So, we made a bet. Two, actually. But the most important of which was: Loser makes the winner dinner.....from scratch! Now, I would pay good money to see that boy in the kitchen. And me? Well, let's just say that I'm better at bowling than I am at cooking. Which is really saying something big! So, I had a little extra motivation to win this round. I was nervous. But at the end of the night, luck pulled through for me, with a score of a whopping 79! Yeah, it isn't much, but compared to his 71, it's just enough for someone to owe this girl dinner. After all evening bowling and an impromptu ice cream adventure, we drove home to the sound of Luke Bryan and late night whispering conversations. After he dropped me off, I was sitting at home smiling as I flipped through pictures of the evening. It was the best night. And, then, that's when it happened. Out of nowhere: Food poisoning. Yep. I think it's safe to say: Luck. Gone. So it's official. I can't win. And unless I stock up on a lifetime supply of four leaf clover and rabbits' feet, I'm probably going to keep on not-winning. But, you know, this unlucky-and-not-winning girl still gets dinner. And, for that, she's pretty lucky. Oh man bummer about the food poisoning. I hope your feeling better! But that's awesome you won and got a free dinner out of it! 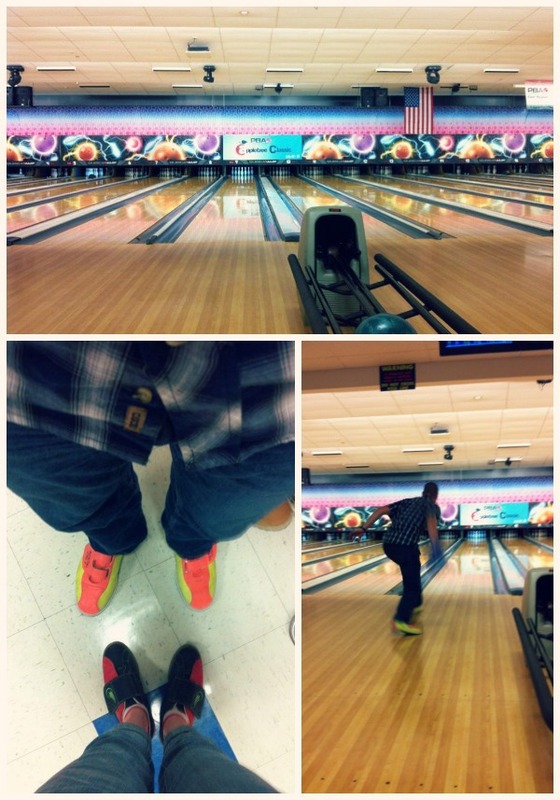 Bowling is definitely not my thing, Im pretty sure I've never won a game in my life! Your blog is lovely, I'm excited to be a new follower!